Start Your Search for Roofers Online – Read Reviews! The internet has made it drastically easier for homeowners to research roofing contractors. With websites like Yelp, Google, Home Advisor, and Thumbtack, homeowners can get a full list of companies in their area and even read reviews from homeowners who’ve used the roofing company! Do a search on Google Maps, Yelp, and Home Advisor for ‘Roofing Contractors in Queens’ or ‘Brooklyn’, and find a few companies in your area that have good reviews. Put them onto a list, and then start your research. Try to read as many reviews on each that you can, and based on overall customer feedback, trim down your list to 3-5 to call for estimates. Book an Estimate for Your Roof – And Pay Attention! Call them up to book an estimate directly to their company phone. The process of getting an estimate from a roofing company is always a good indication of the level of communication and customer service they will provide during the actual project. If they don’t pick up and/or call you back three days later, chances are they’ll do the same during the project. View the level of professionalism they carry on the phone and in your home during the estimate. Did they show up on time? Did they do a full inspection of the roof? Did they take the time to show you the materials they use, or show you options? 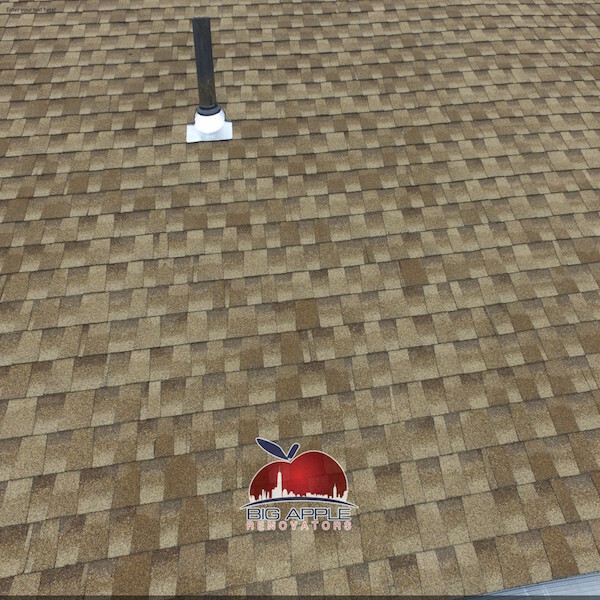 These are important parts of every roof estimate, as sometimes you you may need a simple roof repair or a full roof replacement. What is their cleanup process? Also, watch them as they interact with you. Do they maintain eye contact? Have they addressed all questions or deflected them? These are good indications of the level of integrity the company has, and should be considered as much as the price at the end of the day. Make sure the contractor breaks down the job with materials used and full scope of work. Then compare the materials and scope to the price for each, and determine which ones are providing the greatest value. If you’re unsure of the materials list, go online and look at product reviews and popularity to determine the overall quality of each material. If you have two or more roofers that are equal in value, go with your gut. Don’t be afraid to call them back and ask questions, and grade them on their availability and willingness to do so. Choosing a roofer in Queens or Brooklyn is never an easy task, but if you follow these steps, you’ll be well on your way to weeding out some of the bad roofers in town. If your doing any roofing project in Queens, Brooklyn, or Nassau County, don’t hire anyone until you get an estimate from Big Apple Renovators! How Do I Know If I Should Replace My Siding? ©2017-2018 Big Apple Renovators LLC. All Rights Reserved.